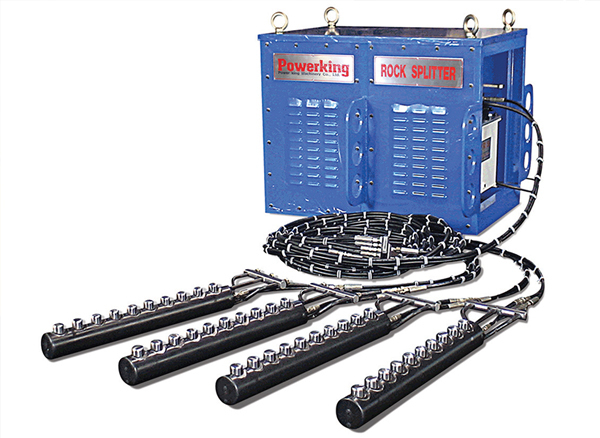 Non Vibration Rock Breaking Method by Powerking Rock splitter uses the multiple hydraulic pistons push the rock toward the free face side. Drill the hole of which diameter is bigger than 80mmØ and 1~3 meter deep by crawler drill or leg drill. Put the power cylinders into the holes and then push the rock toward the free face side. 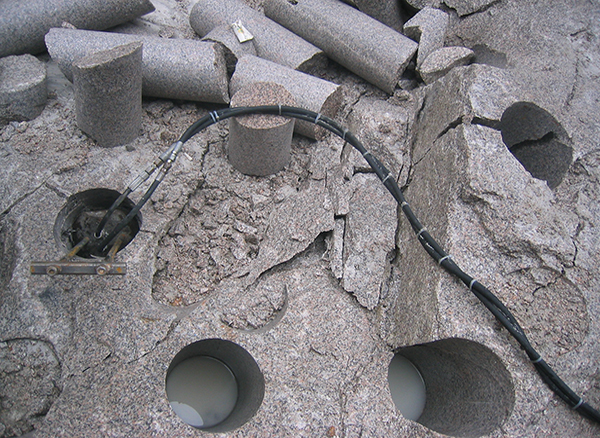 Totally 1,000~ 1,400 ton power pushes the rock for 2-4 minute and then the rock will be split. On sites where there is a restriction or ban on the use of hydraulic impact hammers or conventional blasting methods. In downtown core areas where there are by laws regarding noise and dust pollution. Job sites near to electrical supplies, gas mains, water mains, or other services that can be adversely affected by vibration and fly rock. Under, in, or beside historic buildings, that can be damaged by less controlled methods. Excavating narrow trenches in rock, or concrete, dedicated to service lines such as gas, electricity, water and sewage. For drilling rock or concrete, a crawler drill (Top Hammering Drill) is generally used due to the good performance and convenience. However, this kind of drilling machine makes a lot of noise and dust. 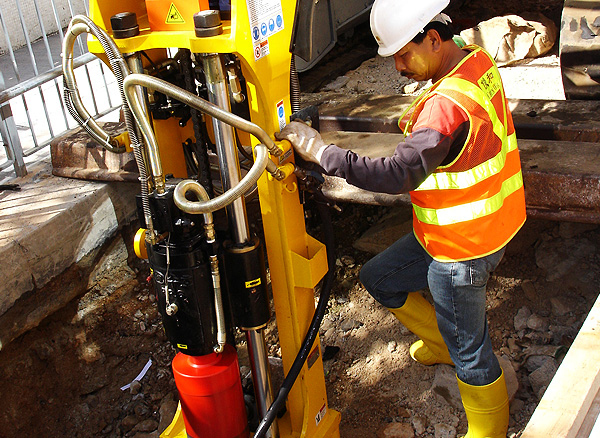 The Excavator attached hydraulic driven diamond core drill, developed by Powerking, is a new concept machine for solving these problems. 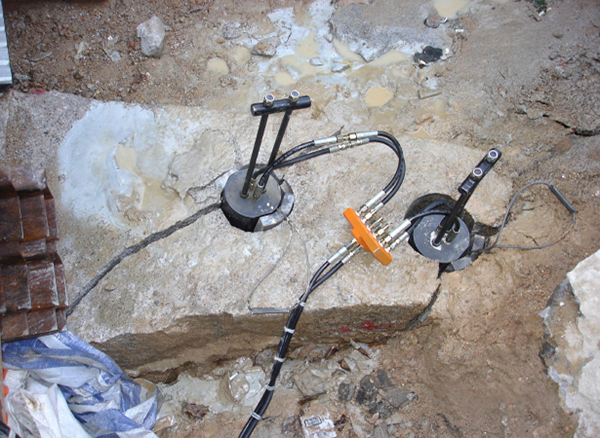 Install the Core Drill and connect the Hydraulic Hose line. Positioning of Core Drill and cleaning any loose soil. Open the Hydraulic Hose Line. Very low drilling sound and no vibration. Cylinder driven for shortening the height of equipment and deeper drilling.